The days of sharing information through paper reports distributed on a quarterly basis are long gone. Today the way information is being shared across organizations and between individuals has dramatically changed. People expect to have real-time information available where and when they need it on a variety of devices. This evolution has been fueled by the Internet and the devices that are connecting to it. Various market research studies estimate that by 2020 more than 26 billion devices (machines, sensors, etc.) will be connected to the cloud. 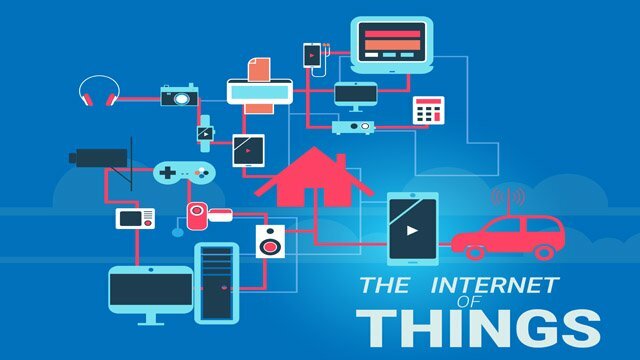 This explosion of networked devices is commonly referred to as the Internet of Things. What does the Internet of Things mean for digital signage? In the early years digital signage was often nothing more than a rotation of static images running on a large screen. Digital signage and the Internet of Things are a perfect match in many ways and have helped fuel each other’s adoption and growth. Devices such as digital signs, tablets and kiosks that are driven by a powerful visual communications software platform have the ability to leverage data coming from multiple sources to drive the content that is being shown. The explosion of devices fueled by the Internet of Things is leading to an even bigger explosion of data from these devices that successful organizations will need to find a way to use to impact positive change. Digital signage that can leverage data from a variety of sources to personalize visual experiences gives organizations a powerful tool to differentiate themselves from their competition. For example, a manufacturing company is using digital signage throughout their factory to notify employees of a variety of information, including real-time updates on line status and inventory. The same signs also are used as part of an emergency notification system that is tied to wind direction, and the signs are able to use that information to reroute people away from potential poisonous gases during an evacuation. Alternatively, a fast food restaurant draws on not just inventory and time-of-day information to drive their digital menu boards, but integrates in information from sources such as weather, demographics and loyalty data.